It is so beautiful, so soulful, it makes me cry. We watched the movie over the winter break and it has brought in heavenly calm to my mind. I do wish this peace and joy to everyone. ‘ wish life for all could be this simple and full of bliss. I suppose we can all do it, we only choose not to, being caught up in all this mesh of material grind. I just want to immerse myself in the song right now, ardently delve deep into my own self to experience the joy. In silence, like a prayer. But this blog must go on. Stomachs are to be fed. Ironically “life” is waiting. 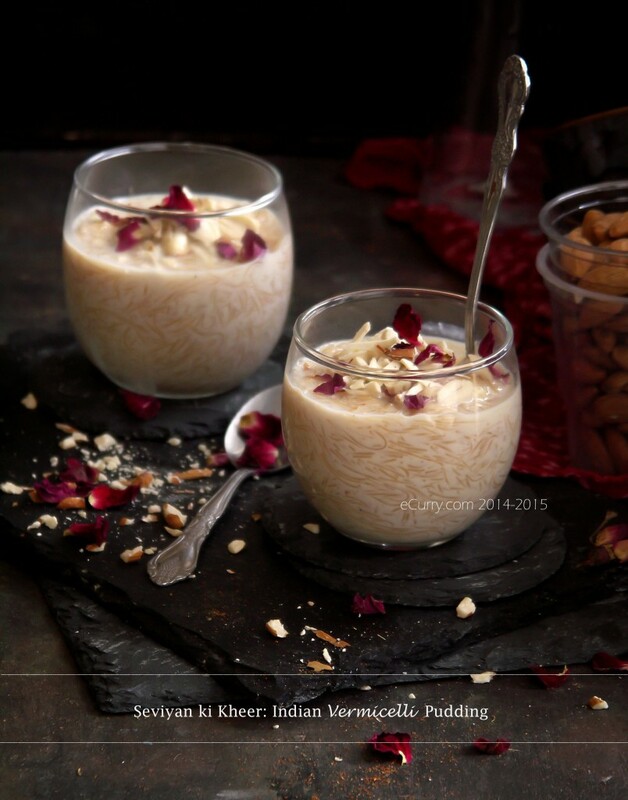 On the first thought, vermicelli pudding is quite a commonplace pudding. 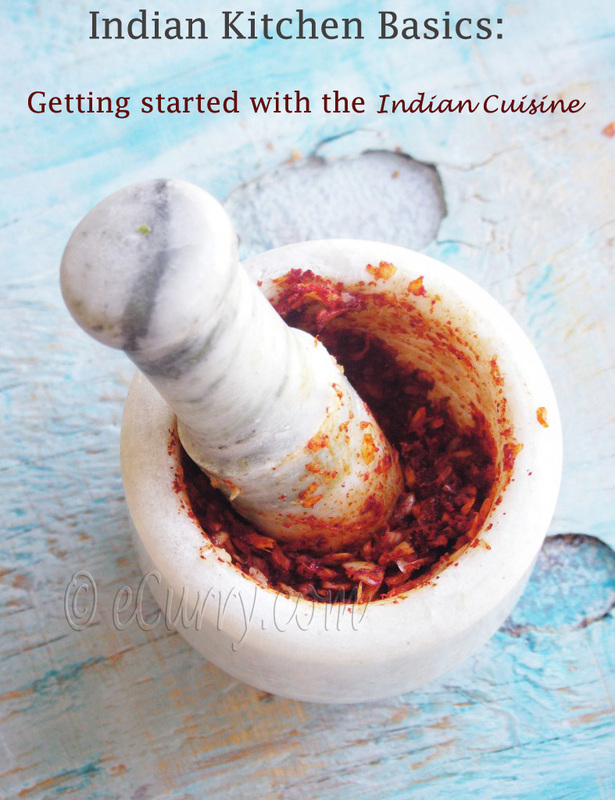 It is conventional, but not without distinction; for every region in India adds different flavors to it, raising the standards from plain to unique. for Susan’s Black and White Wednesday hosted at Cafe Lynnylu this time. 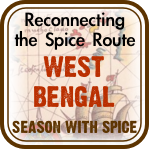 The northern regions bestows on this dish the flavors of saffron, cardamom, rose and almonds. The southern regions of the country serves this with fragrant cashews. And there are so much more diversity in between. 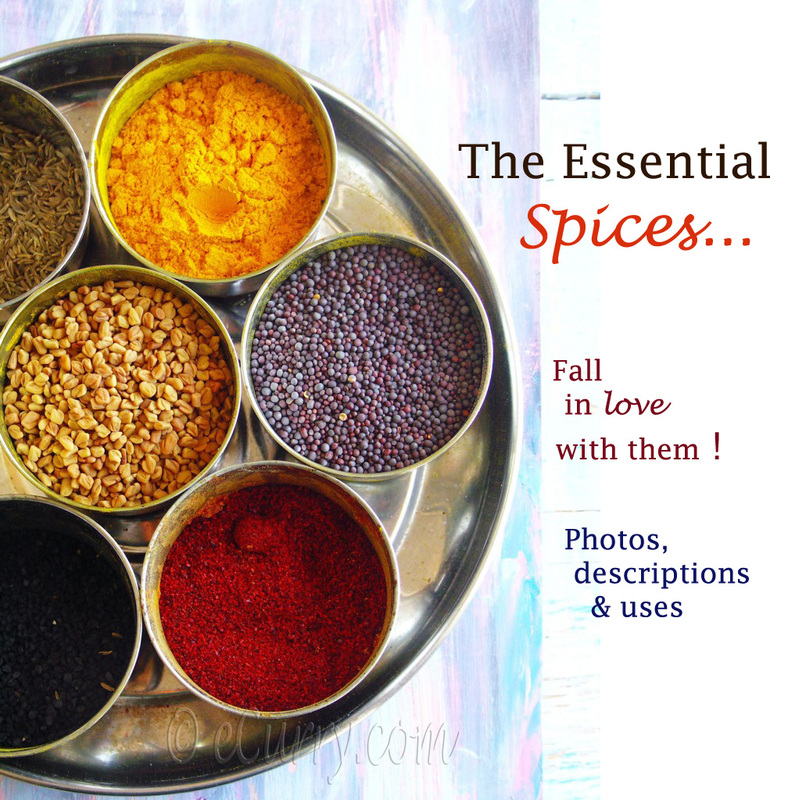 I have used saffron, cardamom, rose and almonds. The flavors are subtle and blend together better a day after it is made. There are pre roasted fine vermicelli available out there (in Indian groceries) that makes cooking this pudding a breeze. But if that is not available any fine thin pasta/vermicelli can be used. Like all Indian puddings, there is no egg used here. If you want it thickened and custard like, the only way to do it is by slowly reducing the milk until you have the desired consistency. 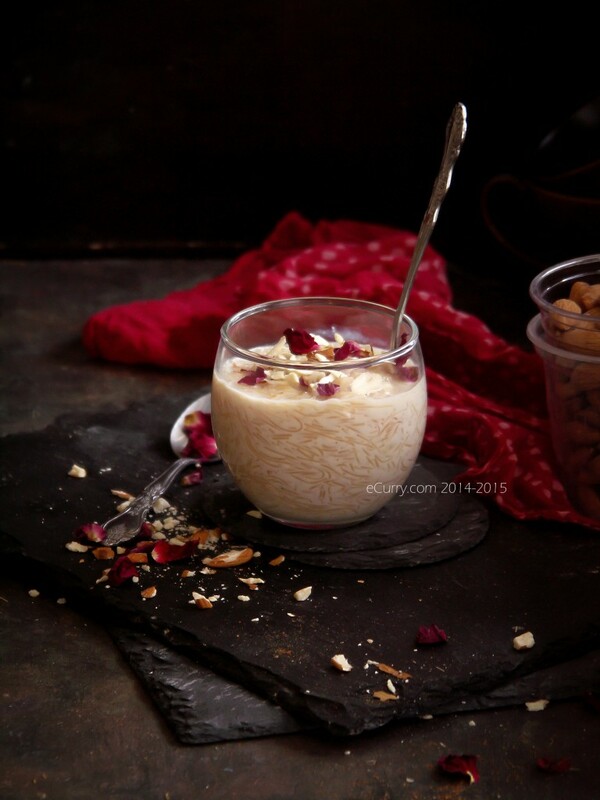 Kheer or Pudding are popular desserts all over India. 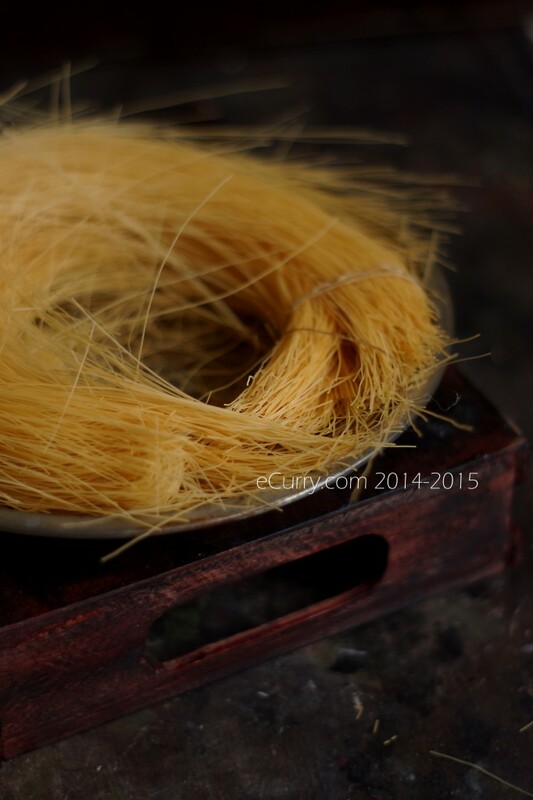 They can be made with rice, vermicelli, tapioca or even fruits or vegetables. The process is typically the same – reduction of milk until creamy and then adding the other ingredients and flavors. Some serve it warm, while others (like us) like them chilled. 3 cups of pre roasted vermicelli (use less amount, about 1.5 cups, if you are using the thicker and not roasted vermicelli/seviyan). Fine/Angel Hair Pasta may be used to substitute seviyan, but cooking time will be needed to be adjusted. This amount mentioned here is relative. If you would like a thick pudding with lots of vermicelli, use more and vice versa. 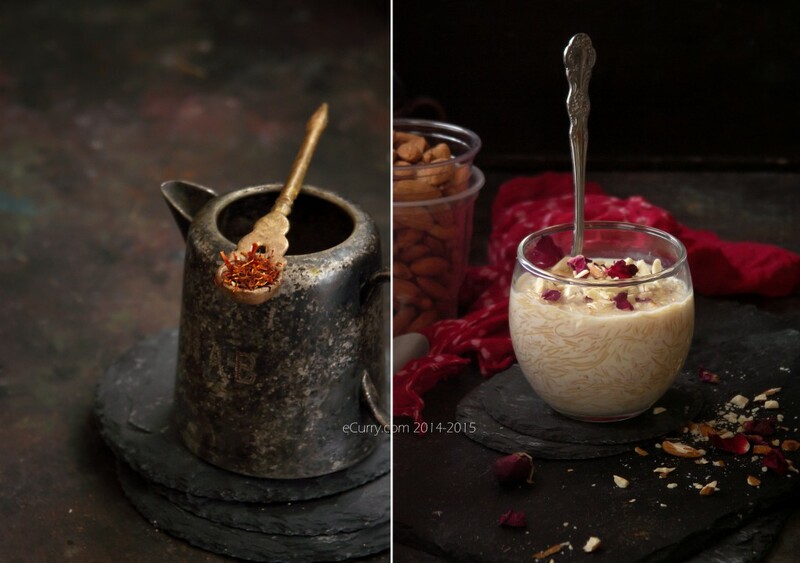 You will need the ghee only if you use not roasted vermicelli/seviyan/semiya. The ghee will be used to toast the vermicelli for a while in a skillet. the amount of milk is approximate and depends on the kind of consistency you would like and also on the kind of vermicelli you use. If you are not using pre roasted vermicelli, heat ghee in a pan and cook the pasta over medium heat, while tossing frequently until all pieces have lightly brown hue. You cannot miss the toasty aroma. Remove from pan and set aside. 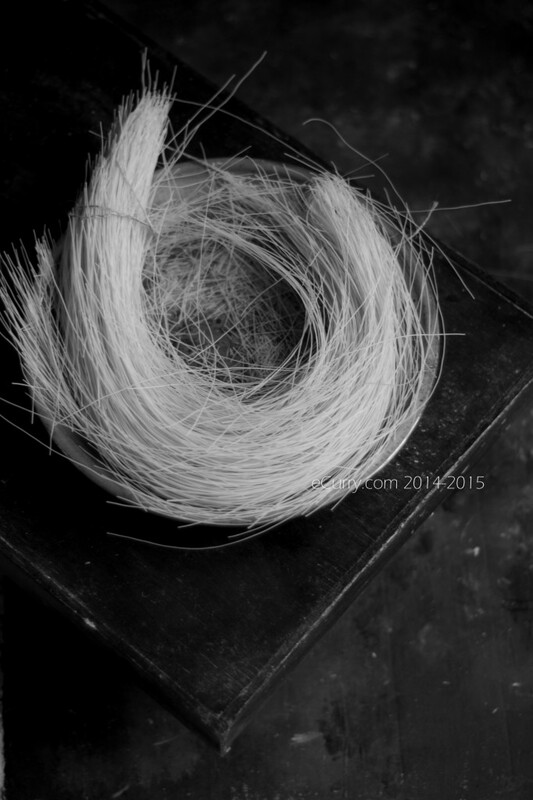 Very briefly toast the saffron threads, cool and crush them with mortar and pestle. Pound the cardamom seeds to a powder. In a heavy bottomed pot, add milk (or milk and heavy cream) and bring it to a low simmer. Stir frequently to prevent burning at the bottom. Add the saffron and the cardamom powder. When the milk starts to thicken to the consistency you want it to be (it will happen faster if you are using heavy cream) add the nuts, sugar and the vermicelli. Continue to simmer until the pasta is well cooked. If you are using the fine pre roasted vermicelli/seviyan, they will cook in less than five minutes. You will have to adjust the cooking time according to the vermicelli/pasta you are using. Once done the pudding should have a creamy consistency. 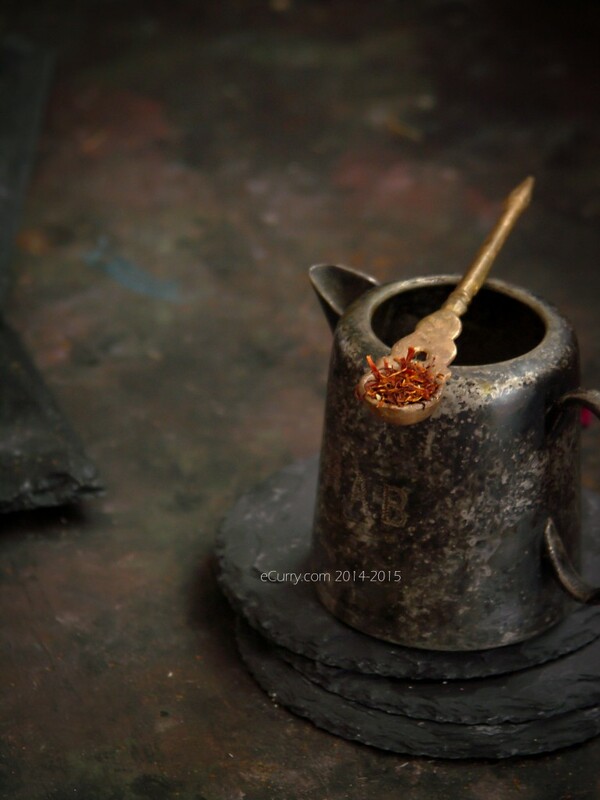 Stir in the rose water/extract. Serve warm, reheating if needed. Or serve chilled. We prefer ours to be chilled. The flavors develop over time, so I would say allowing it to sit overnight is good. Oh, I love the looks of that pudding! Something really enjoyable. Beautiful styling and pictures… Your pictures have made me hungry! Can you please tell the name of the movie? Beautiful images, in particular the B&W one. Happy New Year! I’ve just found your blog when looking for a chaat marsala recipe and I have been dribbling over previous posts and am SO inspired! I’ve always struggled with cooking Indian for some reason, but this last year, thanks to a couple of books by Anjum Anand, I have finally found my feet! AND I discovered an amazing Indian food warehouse in my city and can get everything I need and other things besides that I haven;t figured out what to do with yet…..!!! I also love your writing style-I am a new fan! 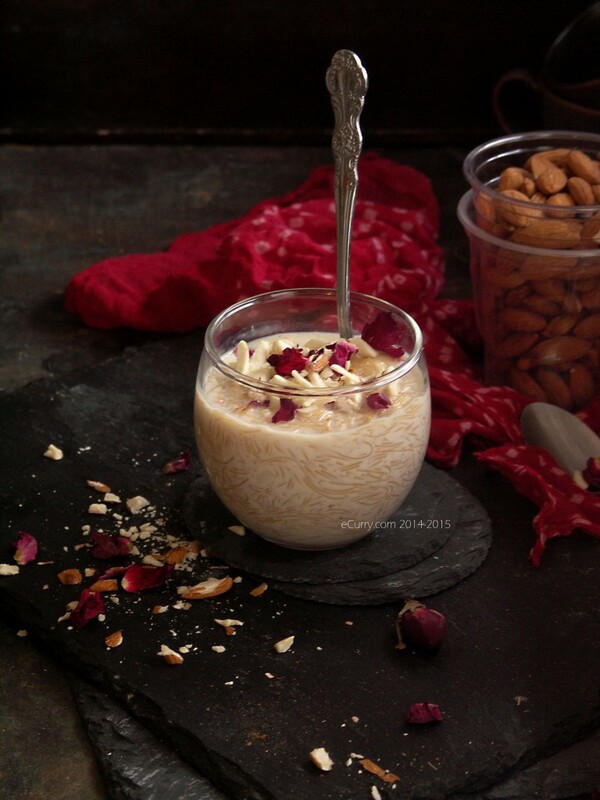 Delicious and lovely looking kheer. Garnishing looks simply awesome. I wish the new year brings more joy and peace to the world too. It’s nice to see the variation of the same thing and it’s so common in India. I made something very similar few months ago called sheer kurma and again, it’s the same everyday semai with a twist. Lovely post. Not only is your black and white image gorgeous, but the colors in the other images of the pudding are spectacular! Thanks for contributing to BWW#111. 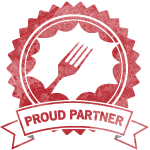 This sounds delicious, Soma. 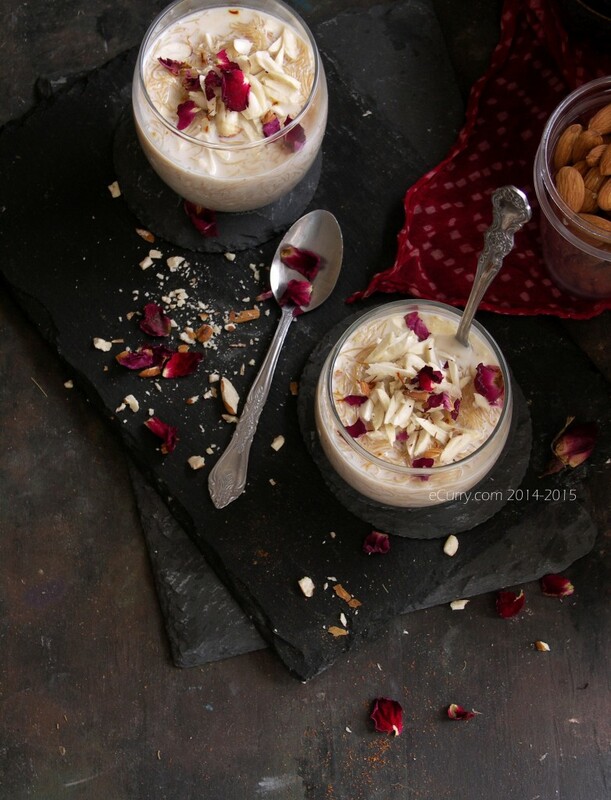 A creamy version of Persian faloudeh. Will try it this w/end. 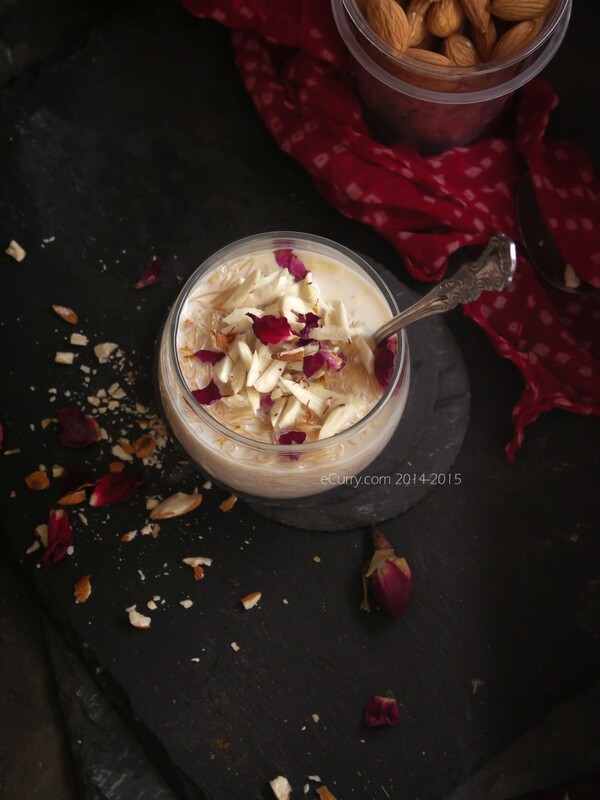 One of my favorite kind of kheer and your pictures are simply stunning. 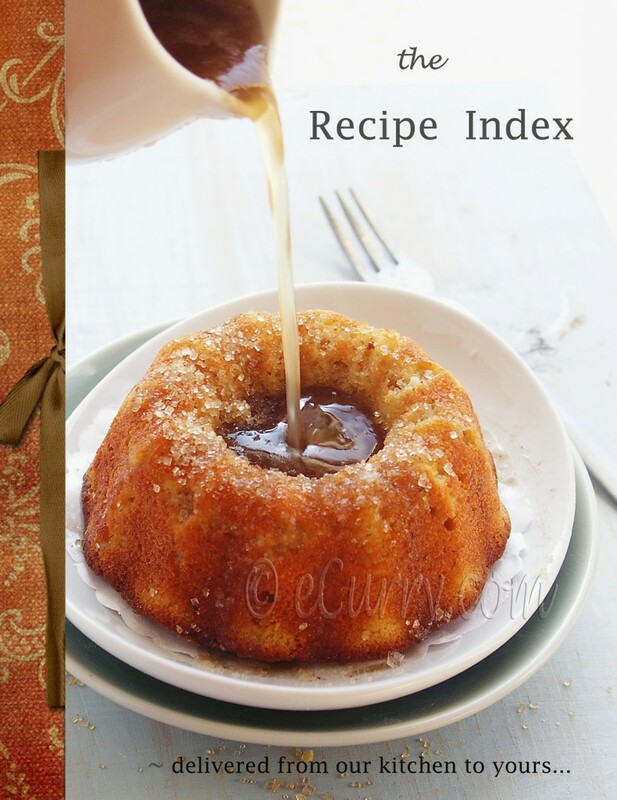 Looks lovely, but when do you add the rose water or extract? Sorry about that!! Updated it. You add it at the end, once cooking is completed. Don’t worry! I do not think you will need to throw anything away! possible that the seviyan was already roasted. Some come roasted. But no you wont need to throw it out! Give it a try and let me know what it was like.